Hello Everyone , this is Candy , our new products , S1 HIFI Digital Music Player( new S1 APE Player ) on sale now , Adrian and claus will the first one to test this device . 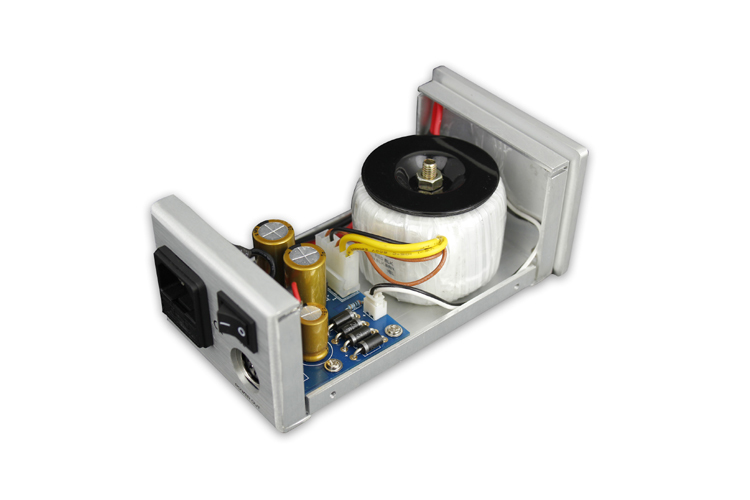 By the way , X3 speaker also on sale now , Would you like to have a try ? I'm expected mine soon. I will pull together a review, and I'm mindful of the wealth of connections (network being the most interesting to me) not just the SQ. Mine is at the customs right now..
Why the Digital input next to the analogue outputs? Open a elevated command prompt. Log out, Log into "administrator" account and set a password. Log out and test account again. I think the eSata port with the provided HDD dock is a good idea. As for the digi/analogue socket positions and judging from the exploded photo, possibly a combination of compactness, board design and esthetics? Hello allan , thanks , it is just as the limted of the this machine , not as manufacturing cost , thanks . It has a headphone out and it is quite good, as a standalone player which is what it has been doing most of the day.. I really like the standalone thing, having player, DAC and AMP ond the table in the TVroom is quite combersome, this just plug in place at table plug in phones..press play..
First impressions are very good.. I have yet to try the network thing and use with separate dac, amp and and .. Mine arrived this morning. It took 10 minutes to plug it in and get it playing off an SD card. I will leave it to warm up though initial impressions are very good. The packaging and finish are exceptional - the remote control is a work of art. I'm also impressed with the screen. Tomorrow I'll look at the network setup and start typing some comments. I’ve had my S1 for a week so its time for some comments. The unit arrived and I unpacked it. The fit and finish of the S1 are excellent. Better on the unit than the PSU. Side by side it is comparable in quality to the Wadia i170 ipod dock. The only downsides are the “clicky” buttons and small feet. I have not opened the case(s) yet to look at the innards. I will though shortly. The website shows the price of the new S1 as $599. I didn’t pay that due to the return of my Miniape. Overall however it is not cheap. It needs to be comparable to a good CD player & DAC or record player (my Sony 55ES cost me a third of the S1 - albeit second hand - second hand and it has a Trichord DOB clock) and it needs to show off its flexibility. I would say that the support from Candy has been first class. I set it up with an SD card into my Styleaudio DAC and left it to play (thanks again Franz for fixing this DAC). I did not listen. Latter that evening I got home and looked through the thin manual (12 pages A6) and had a play. It would appear the S1 is not a USB DAC. The USB socket is marked “expand” and comes up as a USB Serial device. I expect this will be for future firmware updates. The lack of USB DAC connection may not be a problem however, due to the network compatibility, but it’s a feature that was originally on the Miniape and which I thought the S1 had. I have been unable to get the network option working. Initially this was due to my network being on a Windows 2000 domain. Whilst an IP address can be set on the S1 there is no option for usernames and passwords to allow access to shared drives. I then set it up via a DHCP router but couldn’t get the S1 to be recognised on the network and allocated an IP. The manual did not help but does include a ‘screen grab’ of the menu display I couldn’t find so it maybe me. I was a little disappointed at this stage so I went all in. I disconnected my QA550 SD card player from my main DAC (an Arcam Black Box 2). The QA550 has been the best source I have heard. Modified by Chevron Audio for just over £100 it beats all my CD transports. For the price its clarity and resolution are stunning. It does however have a rubbish display and very poor controls. These latter points have left it unused with CD transports & PC’s being more accessible. I plugged the S1 in as a replacement and started an SD card. It is difficult to describe just how good the playback was. The ambiance of the music is there and the placement of the soundstage is brilliant. The headphones & speakers disappear. It is in a class of its own. The S1 is a keeper. My view has not changed after the initial honeymoon however I do think it reveals my system as a bit bass shy. I have steered away from valves (headphone) amps but wonder if they would be good company for the S1. My assumption is that the S1 has very low jitter. I understand the Arcam BB2 is can be affected by jitter so I think they suit each other. The sound was equally good off a USB stick; the S1 has 2 slots. The issue then was the limitations of SD/USB card’s. The S1 has a eSATA connector so £25 later I had a eSATA external box into which I put an old HDD SATA drive. The drive will transfer in block mode and thus, I guess, there should be no quality difference between it and an SD card. My guess was right. In fact the network capability of the drive may be a second best option to SATA disc as the display can make negotiating directories and tracks difficult and with an HDD the root directory comes up straight away. Playback is straightforward. Press play when selecting a folder plays all the files in that folder. The remote is easy to use but not as easy as a PC for selecting songs. The small screen is easy to read but contains limited information. Overall it has the functionally of a CD with the potential for hours of music. Overall I think I will need to print off sheets with the track order for some of my music. The firmware appears OK but I cannot get my to switch back on from the remote and have had to resort to the mains switch on the PSU (remembering that the S1 then needed to warm up). In addition I have found that CUE files do not work. This maybe me but I have tried a few. This is shame. I have tried to combine the WAVs and even then the CUE will not display the track details. The firmware is linux based so I expect some updates. Incidentally during my investigation I found the following - www.intermedia-software.com/products/helium-audio-joiner/. 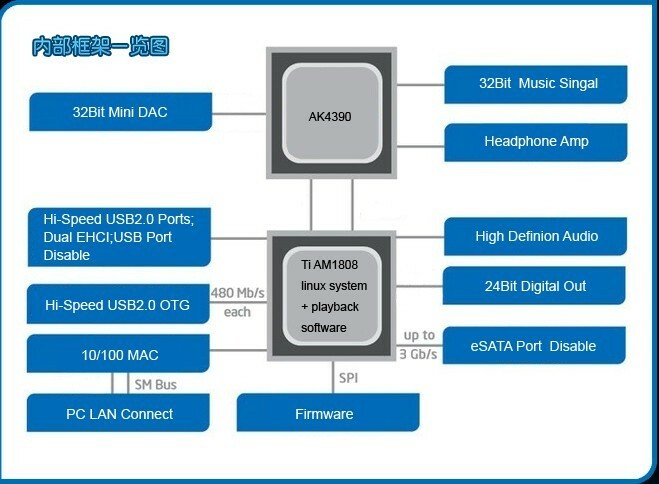 The DAC chip (AKM4390) appears to be the same one in the Miniape. I first tried the headphone socket. Claus had warned me that this can go to max volume if headphones are switched during playback. I was careful but not careful enough. It did this to me even when playback was off (very loud static) such that I would recommend you switch the S1 off altogether. The headphone socket had a slight hum but was quite musical (there was more bass that the BB2/WNA) but nothing exceptional. Using the RCA out sockets into a battery powered Graham Slee Voyager was an improvement (the hum was gone) but again there was a suggestion it was a bit bass light. I have nothing more to say. Whilst swapping the S1 back into the BB2 I damaged the coax in socket in on the BB2 DAC and its gone for repair. The S1 is on loan. I may have a few more comments on its return. Am I right to gather that thus far, despite being impressed with its SQ, you're less than enamored with its functionality? I was also surprised to hear of no USB audio in. Yes, thats a good summary, albeit I would say I'm very imprssed with the SQ. I expect (and hope) that firmware upgrades will improve the functionaility; particularly the network function. If not then it will be a shame. I should have checked for the USB in. I saw the socket and assumed the feature had been carried over from the Miniape. Again if only I could get the network function working . . . .
We were hoping that the S1 would have USB out, too . . . maybe in a future update! Have been enjoying this player for a month or so. Bought from Item Audio. Plays through a hight end system, Naim Nac 282/ Nap 250.2. 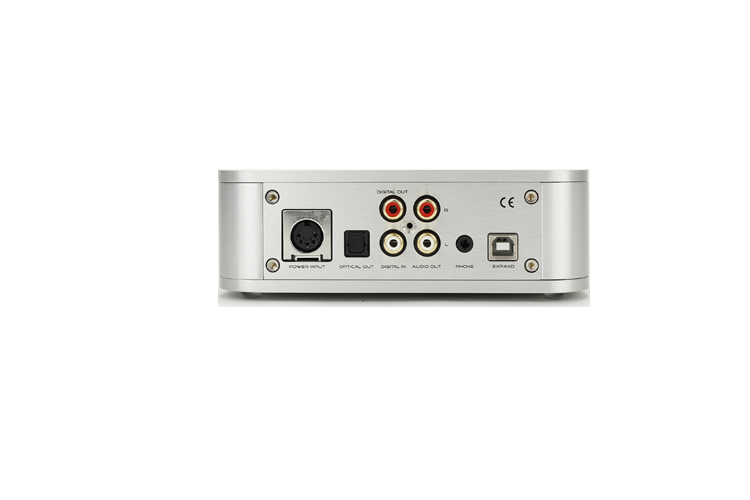 I use also an Arcam rdac employing the coax output on the player. The rDac has been enhanced with the Teddy Pardo power supply. Speakers are ProAc Response 2.5. Amazing levels of clarity and natural tone, very detailed bass - jaw dropping on Gaucho which is a rip of a DVD Audio in 24 bit /96 KHz. On tracks like Glamour Profession in particular you can follow the bass guitar as it changes octave and vocals are very natural and realistic. On my Sonos you can't even hear the bass line at all! So really delighted with it. Love to hear how it stacks up against a hi end turntable like a Linn LP12. Very well I suspect. Would appreciate a firmware upgrade to solve the issue I have with shutdown from the remote control where i have to turn on and off but this is a minor glitch and no doubt easily fixed. When I get time I will get the Foobar software working. Otherwise I would recommend it very highly. External Power Unit it stupid.meanwhile it dose not work out with CUE. Please let me know if you get the network feature working along with foobar. I would really appreciate any tips if you are successful. I agree with all your comments about the quality. Hi Freddypipsqueek, thanks for the nice review. Could you clarify something for me? You said that the QA550 was the best source you ever heard, and you said nice things about the Aune S1, but I was unclear if you thought the S1 was actually better than the QA550. I am somewhat familiar with the sound from the QA550 because my friend has one. Could you please tell me how far apart these two sources sound? And, as far as sound quality is concerned, using these two units as a source running into a DAC, which is the winner? Yes this is my first post on this forum. But have had many posts on other forums like DiyAudio and HeadFi. 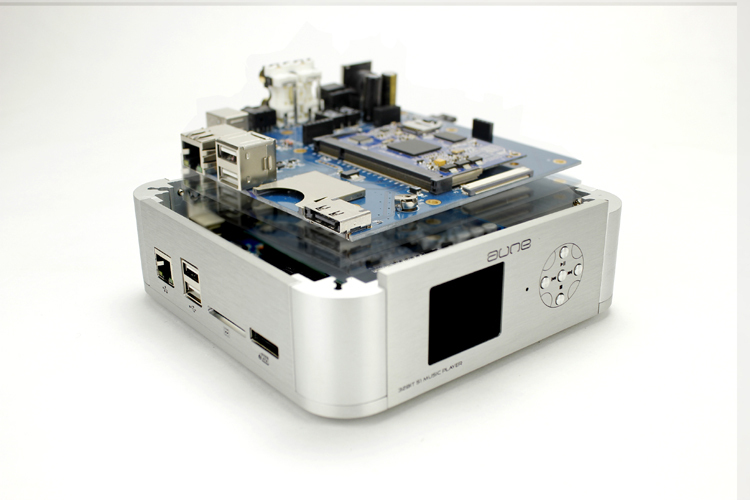 I have joined because I wanted to find out more information on the Aune S1. Has anybody any experience with both of these ? In my opinion the S1 is better than the QA550. But not enough to justify the cost. If you add the display in however . Colin Yallop at Chevron Audio mods the QA550 (he used to I should say) and the modded version was much closer. In addition I ran mine off a Kingrex 9v supply which (I think) helped. The QA550 is a bargain. Having said this Colin looked at the S1 and couldn't see much difference in the outputs so it maybe me trying to convince myself that the S1, which cost (much) more, is better. I also have to say that whilst Colin fixed my BB2, he improved the clock on the USB input to the extent that the S1 has been rarely used since. Having said all of this, it's 10pm and I'm starting a bottle of wine so I'm going to cut to the chase. I'm going to start listening to a QA550 through a Caret Sapphire DAC and Chiarra. The S1 is better, the Arcam is better, and my WNA Mk3 is much better (thanks to Mike) but the sinergy makes the difference so small you would be missing the point; the music. I have not heard the QA350, but I own a S1.. I have to say that the S1 sounds amazingly well, it is by far the best player I have heard. The downside to the S1 is the UI or rather the lack of UI, I mostly use my PC for music because I am the type who sit and surf the music collection and the S1 is not good at that, not at all..
Are you the type that listens to an whole album and then goes on to the next the S1 will be right for you, I doubt you will find a better player.. It also eats highres files without problems, the only format I had trouble with was a surroundcoded album from Queen, but only PCs can play that kind of files.. Compared to the QA that only eats WAV files it is much more vesatile..
Just to point out there is a 350 and 550. The former has a headphone amp built and whilst more expensive is quite good (I have listened to one and as impressed). It was very portable. I agree with Claus but the S1 is quite expensive for what you get; something like this - www.ebay.co.uk/itm/M2-TECH-EVO-DAC-USB-CONVERTER-/130688059060?pt=UK_Sound_Vision_Other&hash=item1e6d9d86b4 - maybe better value overall if you have a PC/laptop etc.